Governor Acharya Devvrat attended the ceremony of unveiling the statue of Sir Chhotu Ram and laying of foundation stone of the Rail Coach Repair Factory by Prime Minister Narendra Modi at Sampla of Rohtak in Haryana today.Speaking on the occasion, Acharya Debavrat said that Sir Chhotu Ram enhanced the pride and dignity of the farmers and spent his entire life for upliftment of the farmers and the poor people. 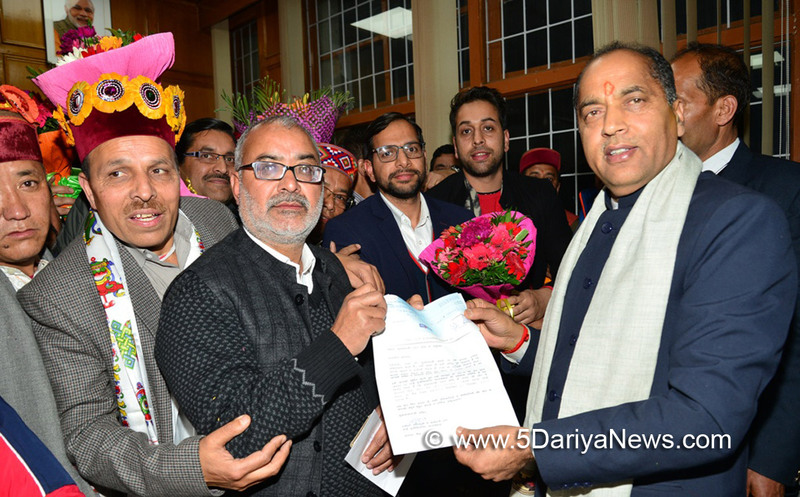 The Governor said that Sir Chhotu Ram was regarded as a messiah of peasants and was instrumental in empowering farmers in pre-Independence era and getting pro-farmers law enacted. He had fought for farmers' rights during the British rule.Acharya Devvrat also mentioned various historical events related to Sir Chhotu Ram. Governor of Haryana, Satya Dev Narayan Arya, Chief Minister Haryana Manohar Lal, Union Steel Minister Chaudhary Birendra Singh, Governor of Jammu & Kashmir Satya Pal Mallik, Union Social Justice and Empowerment Minister of State Krishan Pal Gurjar, Ministers and MLAs of the Haryana Government and other prominent people were also present on the occasion.